Whether your sweetie loves to cook, can't get enough electronic gadgets or is actually your fur baby, these romantic gifts available on Amazon will be a match made in heaven. Does your Valentine love to make dinner, or would you like to encourage them to do so more often? An Instant Pot pressure cooker is a one-pot wonder that prepares delicious dishes up to 70 percent faster than traditional cooking methods. You’ll both swoon over the easy home-cooked meals such as stews, chilis and pulled pork after a long day of work—there’s even a button to keep things warm in case you lose track of time. Don’t forget to gift them with our 100 best pressure cooker recipes, too! The king or queen of your kitchen deserves the mother of all cooking vessels—the Le Creuset Signature Enameled Cast-Iron Round French Oven. Perfect for braising short ribs, pasta, sauces, chilis, soups and breads, it’s a classic culinary workhorse. No matter which dish you make, it’ll be obvious the first ingredient is love. Or gift them with any of these 15 gorgeous Le Creuset items. Isn’t coffee always better topped with some froth and foam? Your coffee lover with swoon over the PowerLix milk frother, a handheld foam maker that transforms coffees, lattes, cappuccinos and hot chocolates into café-style creations in 15-20 seconds. You can also use it for mixing milkshakes, cocktails, soups and more. Want to give your Valentine the warm fuzzies? Send your sweetie off to work with a cup of coffee that will stay hot literally all day, thanks to the YETI Rambler 20 oz. stainless steel vacuum-insulated tumbler. It’ll fit in all standard-sized cup holders, is BPA free and comes in a wide variety of colors that won’t fade, peel or crack. Does your Valentine have a touch of insomnia? Chronic pain? Depression? 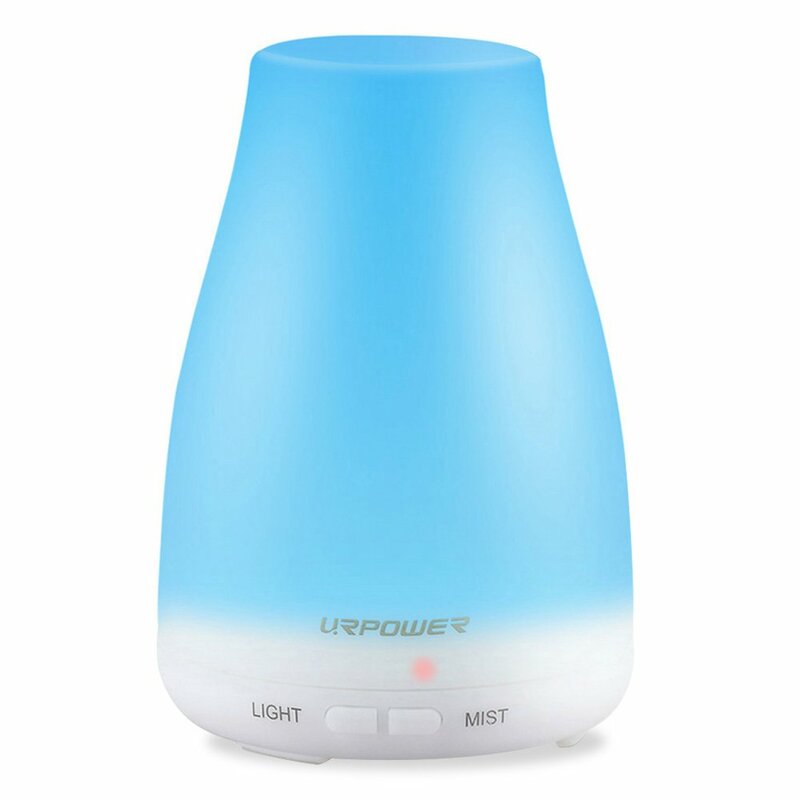 Then an essential oil diffuser from URPOWER can help soothe and heal, not to mention add a pleasant aroma to any room of the house. Aromatherapy is known to improve health. Plus, it’s also a humidifier than can combat dry sinuses and chapped lips. Could there be anything more thoughtful than giving the gift of good health on Valentine’s Day? If your other half likes to meditate and be surrounded by Zen-like ambiance, then Chesapeake Bay Candle’s Mind & Body scented candles will be a welcome addition to his or her ritual. There are a variety of scents for any vibe, including Love + Passion (a no-brainer for Valentine’s Day) and Joy + Laughter (an essential combination for a happy relationship). These jar candles burn for about 50 hours and are made from a natural soy wax blend. If cuddling on the couch with a bowl of popcorn and your favorite movie is your idea of a romantic date night, then you’ll want the most powerful 4K streaming media stick: the Fire TV Stick, with all-new Alexa Voice Remote. With this device you can launch Prime Video, Netflix, Hulu and more—better yet, you can ask Alexa to launch them for you so you don’t have to waste time scrolling through menu options. Here are the things you should always buy at Amazon. Household chores can really get in the way of romance, especially if it’s causing friction between a neat freak and someone with more lax standards of cleanliness. Thankfully, the age of robot help is here with the iRobot Roomba 690 Robot Vacuum. Your significant other will love how Roomba’s patented dirt sensors alert the gadget to focus more on high-traffic areas of your home, marvel at how it can easily switch between carpets and hard floors and find joy in watching it automatically dock and recharge itself. Just use the app to schedule your cleaning times, then sit back and relax. By the way, these are the cleaning mistakes that are actually making your home dirtier. One of the kindest gestures you can display on Valentine’s Day is giving the gift of safety to your sweetheart. The Ring Video Doorbell 2 detects motion and alerts you to visitors at your front door whether you’re home or not—you can see, hear and speak to guests from your phone, tablet or PC, and quickly determine if you need to sign for a package or avoid a salesperson. It also offers security in the form of HD video with infrared night vision, so it’s always watching over and protecting your home from unwanted intruders. Don’t miss these cooking safety products everyone should own. 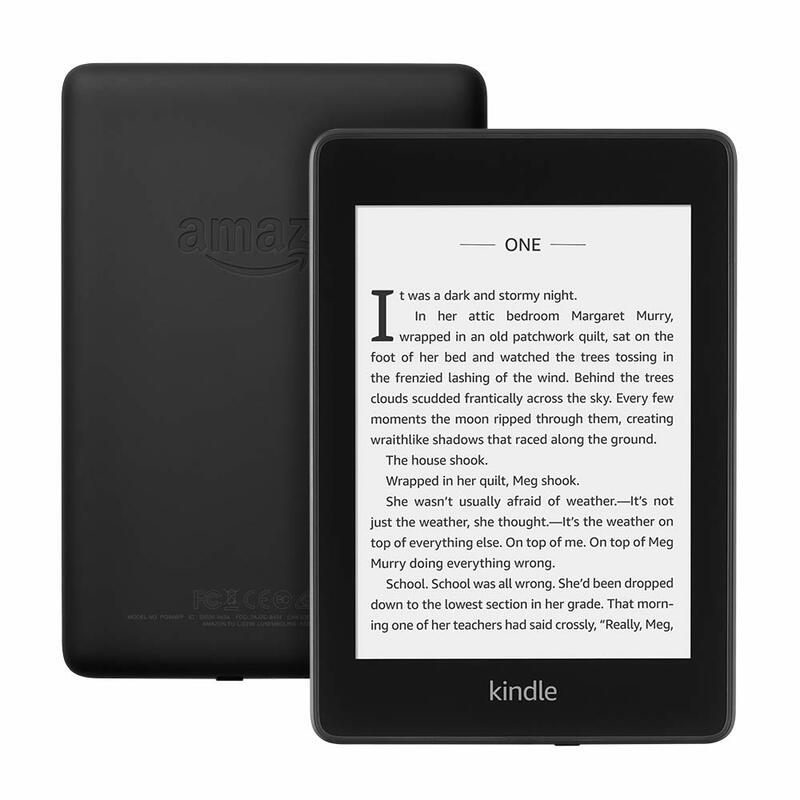 If your better half always has their nose in a book, then the new Kindle Paperwhite will be a welcome gesture of affection. Now waterproof—which means your recipient can enjoy it poolside or in the tub—and with an extra-long battery life (of weeks, not hours), this gadget can literally go anywhere and keep up with anyone’s lifestyle. It also has Audible, which allows the user to seamlessly switch between reading and listening to a story while on the go. Take a look at these books that any foodie will love. You can’t overlook your sweet pet on Valentine’s Day. After all, hers is the most unconditional love you’ll ever experience! Surprise Rover with Multipet Duckworth, a fuzzy duck that will provide hours of entertainment and squeaky noises. Have a new furry one? Here’s how to pet-proof your home. If you and your Valentine get sick of asking each other to adjust the thermostat, dim the lights or add something to your grocery list, then the second generation Amazon Echo smart speaker with Alexa could have you back in the honeymoon stage of your relationship in no time. Instead of nagging each other, you can simply tell Alexa what to do—and she won’t roll her eyes or comment on your tone. You can also use the device to call and message loved ones who aren’t nearby on Valentine’s Day. Love your fur baby but not sure you want to be bed buddies? If you decide you want a little personal space, consider purchasing a FurHaven dog bed. Its orthopedic, ultra-plush, three-bolster design is easy on the joints, machine washable and comes in a variety of colors to match your décor. Now, you’ll both have sweet dreams. Here are some more gifts for your dog that will get their tail wagging. Got a pup who loves chewing on everything in your house? Keep their mouth busy and your furniture intact by giving them a Nylabone textured dog chew this Valentine’s Day. They come in your dog’s favorite flavors, including bacon and peanut butter, and the raised bristles help clean their teeth, controlling plaque and tartar. This is an especially loving gift if your baby suffers from separation anxiety, as it helps them self-soothe when you’re not home. Is your feline friend a picky drinker? It’s probably because they wants fresher tasting water. 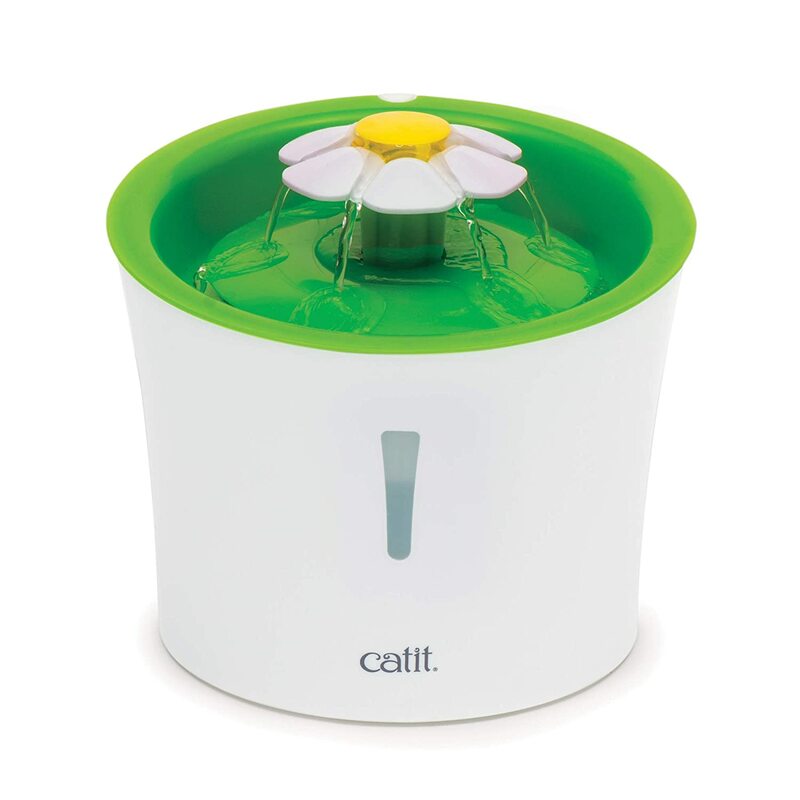 Get them the gift their little heart desires: a Catit Flower Water Fountain, which offers three water flow settings for maximum oxygenation. It comes with a water-softening filter and a small energy-efficient pump and is made of BPA-free materials. Plus, you’ll love the compact design and how easy it is to clean. Check out these other gifts that are perfect for animal lovers. Do pictures of sleeping cats make you smile? Then you’ll spend hours watching your kitty fall head over heels in love with the Go Pet Club 62-inch cat tree, which is designed to bring them activity, entertainment and leisure time. The material will satisfy your cat’s urge to scratch, and the various levels and details will keep even the most finicky felines occupied for hours. If your significant other spends just a bit too long getting dolled up for date night, give them the gift of time. The Revlon One-Step Hair Dryer & Volumizer provides frizz-free blowouts in up to half the time, thanks to its dual-purpose design. It will dry and volumize simultaneously, and negative ion technology helps condition the hair and add shine. It takes an arsenal of tools to achieve a flawless makeup application, which is why the BS-MALL makeup brush set comes with 14 essential pieces. The five big brushes are used to apply foundation, blush and bronzer to large areas of the face, while the nine smaller brushes are all about the eyes and lips. Plus, the rose gold hue is the perfect palette for this lovey-dovey holiday. 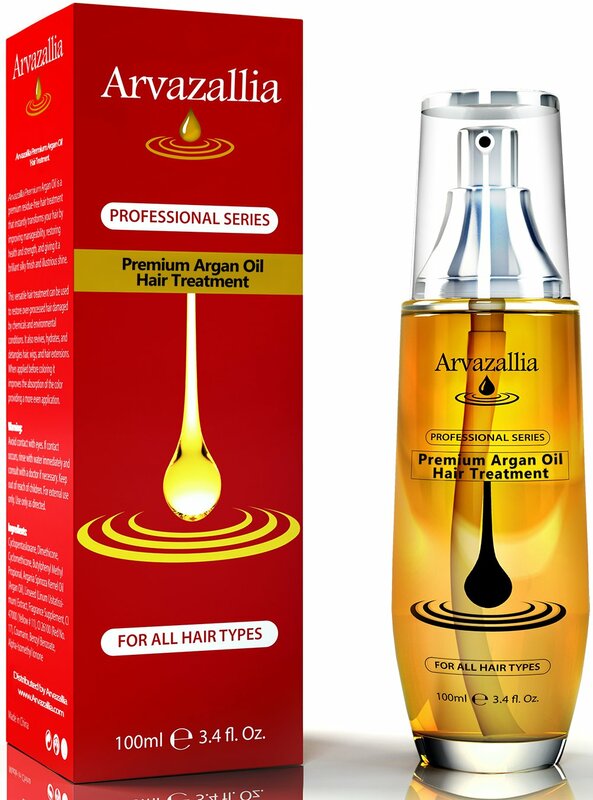 Cold, dry winter weather can wreak havoc on hair, so if you’ve noticed your Valentine’s locks could use a little love this time of year, choose this hydrating argan oil mask by Arvazallia. It’s basically like giving her a professional salon-level deep conditioning treatment, but at a fraction of the cost. The cosmetic-grade argan oil, which is rich in essential vitamins and minerals, will go to work repairing, restoring and hydrating their mane. Or, go homemade with this nourishing DIY coconut oil hair mask. Makeup artists and YouTube sensations alike swear by makeup sponges when it comes to blending foundation, concealer and powder. 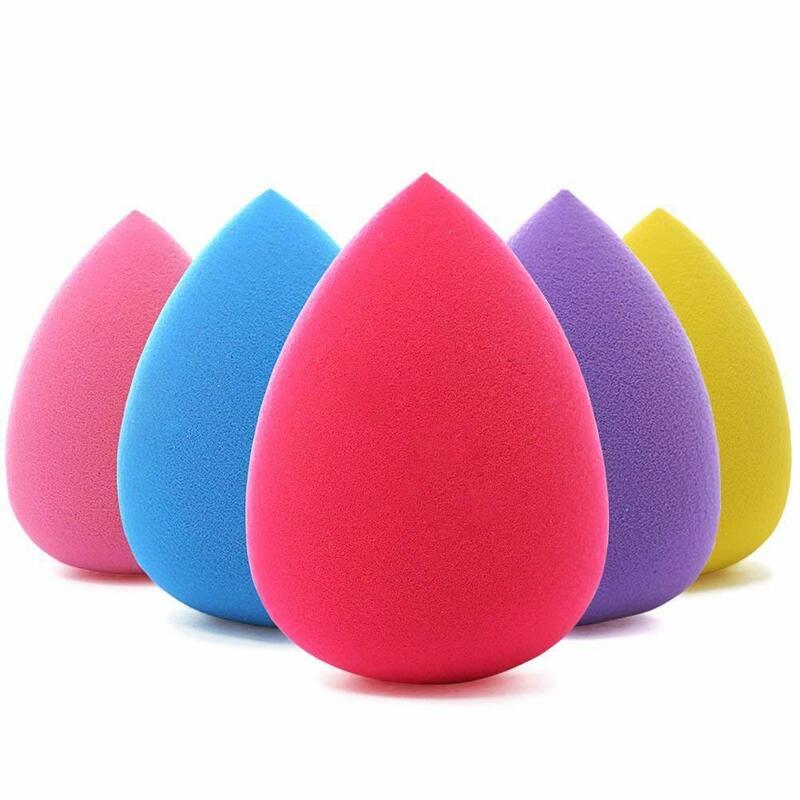 This five-piece set of multi-colored sponges from Beakey can be used wet or dry, they help reduce makeup waste and their soft non-latex texture won’t irritate her skin. Speaking of sponges, here’s how to clean a dirty kitchen sponge. These quintessential rounded stainless-steel tube hoop earrings make for an easy go-to accessory. Whether you choose rose gold (perfect for Valentine’s Day), silver or yellow gold, these hypoallergenic earrings for sensitive ears are trendy, resistant to tarnish and affordable. By the way, here are 13 weird ways to polish silver. Anyone would want a little bauble to wear as a daily reminder of your love for them—and this Alex and Ani birth month Swarovski charm bangle bracelet is a perfect choice. Choose gold or silver and then select their birth month, so that it will be adorned with the proper colorful crystal to signify their birthstone. Don’t forget to check out the best recipe for your zodiac sign. Another way to show your affection is with the Alex and Ani expandable wire bangle bracelet, this time with a dangling charm stamped with the initial of your sweetheart’s first name. The monogram gives this bracelet a classic vibe and the neutral silver or gold metal will blend seamlessly with their current jewelry collection. A necklace lays close to your sweetie’s heart, which makes it the ideal piece of jewelry for Valentine’s Day. 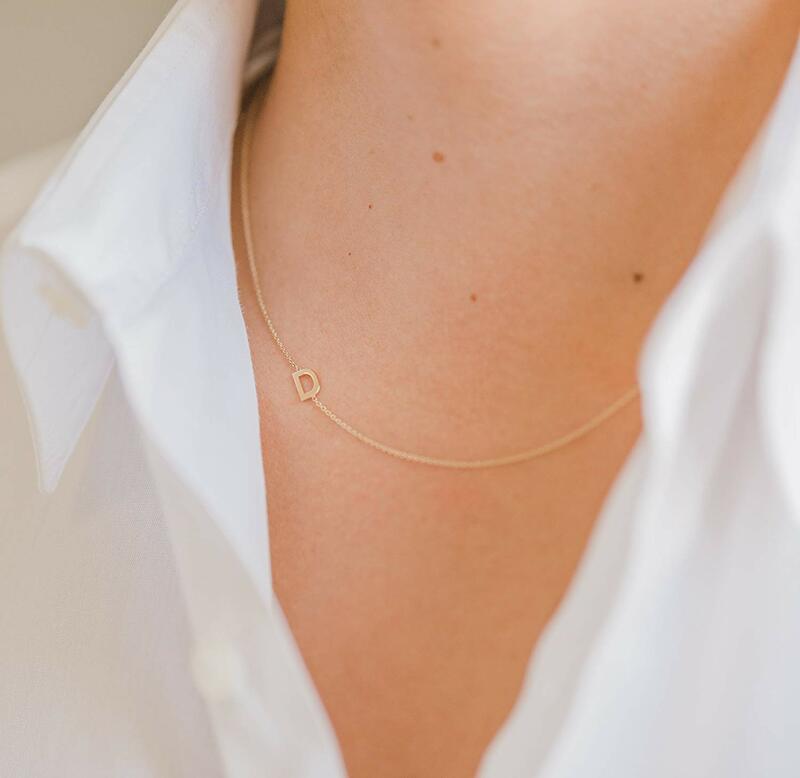 This 14k gold asymmetrical necklace by Zoe Lev Jewelry features a dainty cable-link chain available in white, yellow or rose gold—but the real stunner is the sideways initial, a true departure from most other initial necklaces. Bonus: This comes in a beautiful custom box wrapped in a satin bow, which makes for an elegant and romantic presentation. Disclosure: We may earn a commission for purchases made through our links.